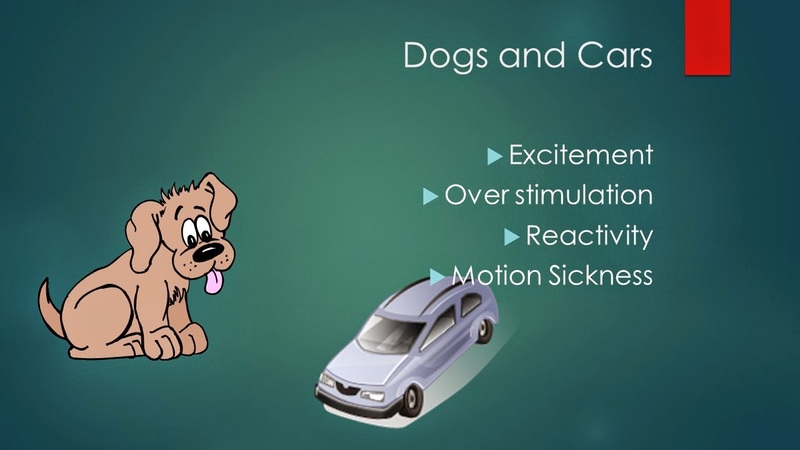 If we have a dog who is afraid of riding in a vehicle or who gets over stimulated while riding in the vehicle, we first need to determine what is bothering the dog. There might be a simple fix or the fix might take a while. Does the dog worry about rides because the dog normally winds up going someplace scary like the vet's office? If so, give the dog plenty of rides where nothing happens or where the dog gets to go someplace fun. That might fix the issue. Does the dog get over stimulated because she is so excited about going to the dog park or to the beach? If so, then a couple of boring rides going nowhere might fix that issue. Does the dog get over excited because of visual overload? Does the dog get reactive about things he sees out of the window (people, dogs, etc..)? Another option is to build mat value by heavily rewarding the dog for going to a mat or hanging out on a mat. Then use the mat in the car to help the dog lie down and not look out the window. The Relaxation Protocol can help with this as well. Practice inside the residence then inside the vehicle. Does the dog get car sick? Your vet might be able to provide a medication or remedy. There is some anecdotal evidence that an elizabethan collar can sometimes help with motion sickness. (pet parents should acclimate). A covered crate or covered pet tube might help as well. What if because of one of the reasons above, the dog has learned to hate vehicles in general? The interventions might not be enough. Also what about dogs who are afraid because of other reasons - novelty, movement, etc.. Then pet parents will need to implement a program of counter conditioning and desensitization. Stay tuned. We will talk about that in the next post. Does your dog like riding in your vehicle? Tell us about it in the comments below.